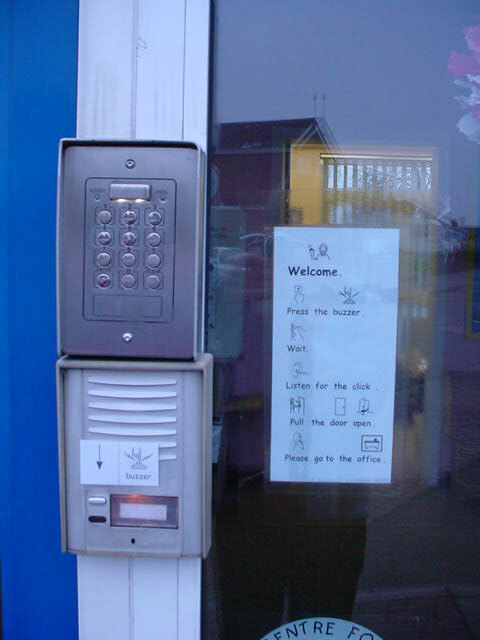 Symbolised 'welcome' and instructions for gaining access to the building. 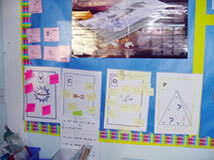 A colour coded map and arrows to help find the way round the site. 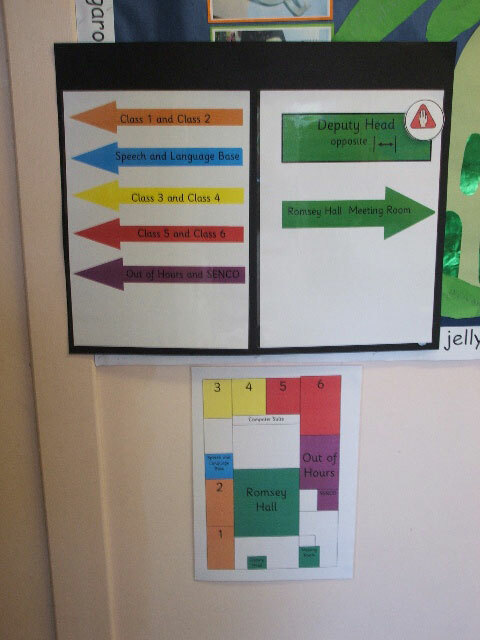 An A4 colour map is given to each visitor on arrival at the school office. Feedback has been very positive about its usefullness! 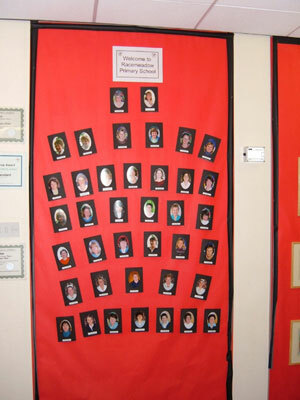 Photographs with names and a 'welcome' on the door to the Reception Class. 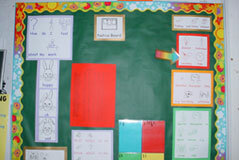 This means that everyone knows which adults teach in the class and what their role is. This is particularly useful to visitors. 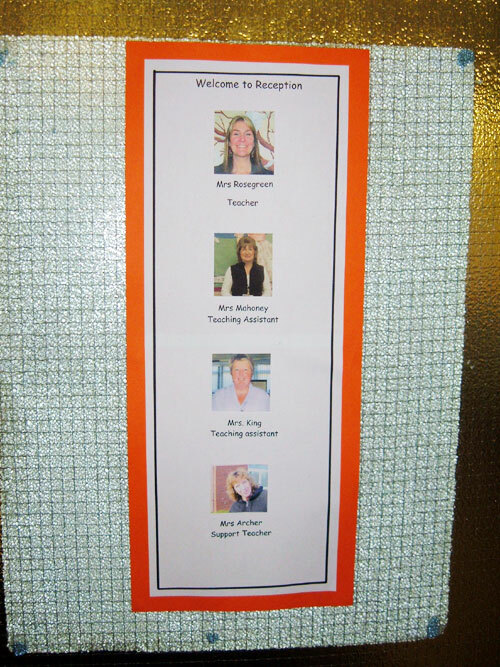 Examples of Staff Photos in the foyer of a school, and Individual Staff member in a Class. 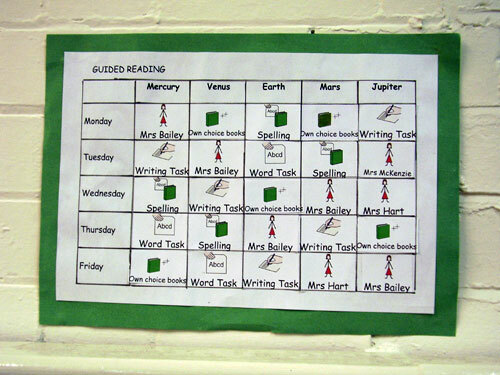 The 'Out of Hours' Club in this school symbolised their information in the same way as the school. 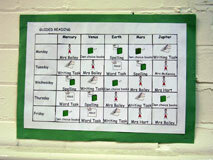 This gave continuity to those pupils attending, and provided accessible information. In the survey of 22 schools in 2005/6, the respondents identified the following materials they had developed to support CFE. 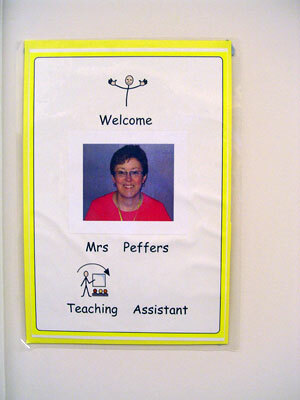 Colour coded map in foyer with photos of staff, and photos on classroom doors. Coloured arrows to find way round site.